The Selectiose range is specifically for eczema prone skins to provide moisture, preserve moisture and thus preventing dryness that could lead to skin itching or inflammation. I was initially skeptical but was sold once my parched skin breathed a sigh of relief. My skin was soothed, calm, kept nourished and free from any irritation. This cream absorbs well and doesn’t just sit on your skin like some creams do. It works well for drier climates or if you are constantly in airconditioning but it can be a little heavy for humid places. As with most of the Avene product range, it is fragrance and paraben free. 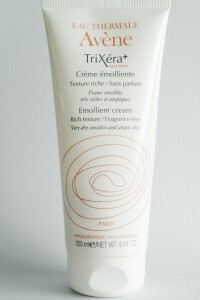 For everyday use, this is my go-to body cream. I even apply this to my neck on drier days when my face moisturizer is not heavy enough. I generally like to apply body creams at night because I don’t like the oily feel when I am out and about. I have not tried it on my face but it can be used on the face too. Personally I find face and body skin have different issues (ie body skin could be dry but face skin combination etc) so I don’t like to use one for all.